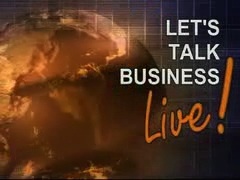 "When you purchase one Let's Talk Business Radio or LTB Live show, you will definitely want to buy more. The information is absolutely incredible and priceles! When you get to know Mitch you will see he is a man of many unique talents, including his beautiful photography. I am so glad that he is finally offering this work to the public. I can tell you as Mitch's partner and good friend, he is a one of a kind whose wisdom, experience and knowledge are unparalleled in the entrepreneurial world." says Scott Shickler, CEO of Global Education Technologies. For over 10 years, Mitch Schlimer, Chairman and Founder of the Let's Talk Business Network and host of ��Let's Talk Business Radio� , has been interviewing famous entrepreneurs, leaders and business authors from around the world. As a serial entrepreneur with decades of experience, �Mitch's interview focuses on the "heart" of the book and gets to the soul of each guest. Mitch knows what questions to ask in order to get the most out of his guests and conducts each interview with you in mind. This provides real value to anyone who wants to learn from some of the great business minds of our time. Purchase a show to hear for yourself why Mitch was voted one of the 100 most important radio talk show hosts in America. �Your show, the callers and your interview was the best! Every entrepreneur in America needs to listen on a regular basis.� Tony Parinello author of "Selling to Vito"
�You're one of the great enthusiasts in the world. You are making a big difference for entrepreneurs. Keep up the great work!� Ken Blanchard author of "the One Minute Manager"
We will be adding more shows in the future and if you would like to be made aware of new shows when they are listed, email mitch@ltbn.com.